Surrounded by fjords, mountains, waterfalls and breathtaking panoramas, Balestrand was the adopted home of numerous 19th-century national romantic painters, whose paintings and presence contributed to an explosion in tourism—a vestige that continues to this day. Balestrand is perfectly situated for rest and relaxation as well as for exploring the surrounding area on the optional excursions. 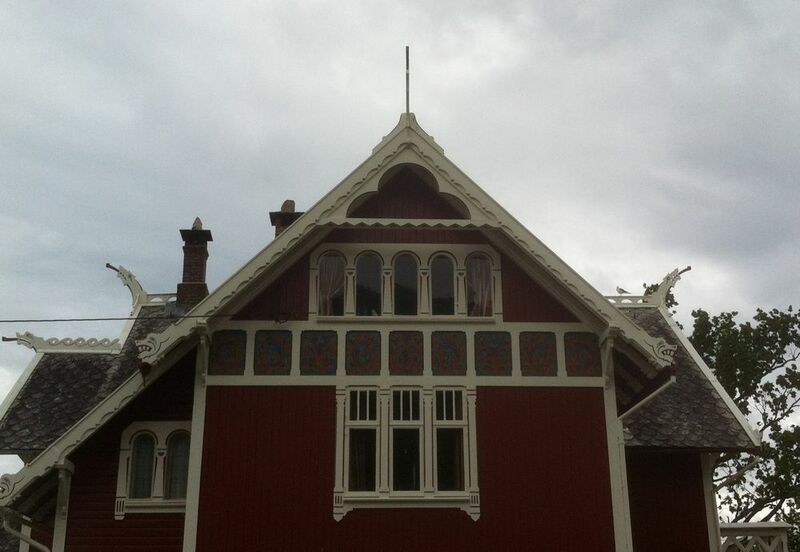 Switzerland Style is the name given to a way of building with heads of dragons and hallways which we find in many villas from the 1890s along the fjord in Balestrand. The architecture has very little to do with Switzerland. 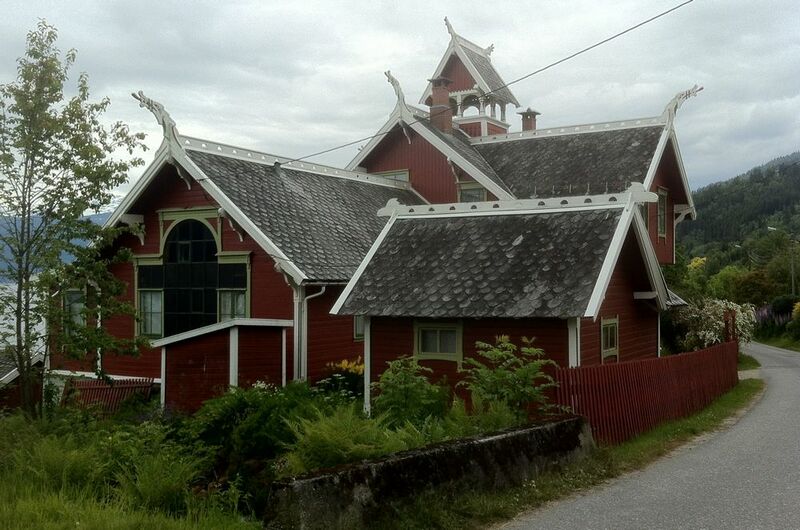 The villas are a result of an effort in trying to make a national style of architecture in wooden houses. 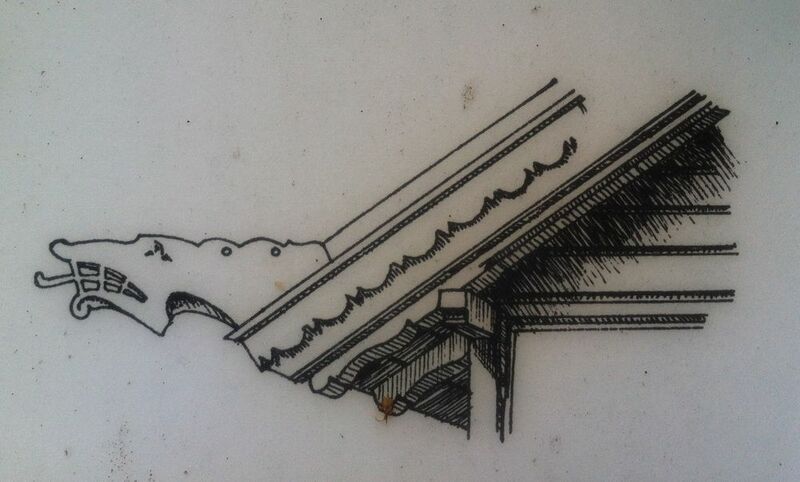 This architecture was inspired by old store houses on pillars, stave churches, and so on. 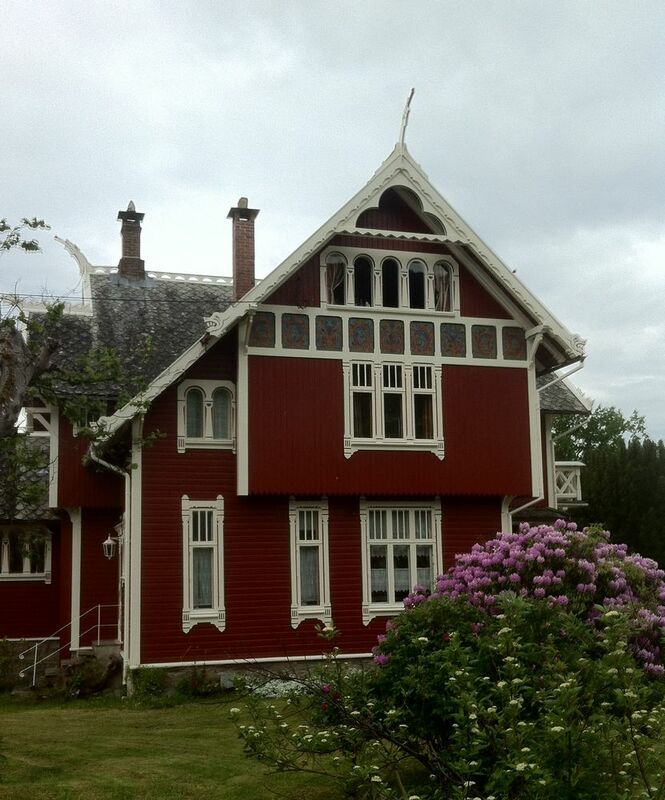 The architect Karl Norum has drawn several of the houses, and they are mainly precut in Trondheim. 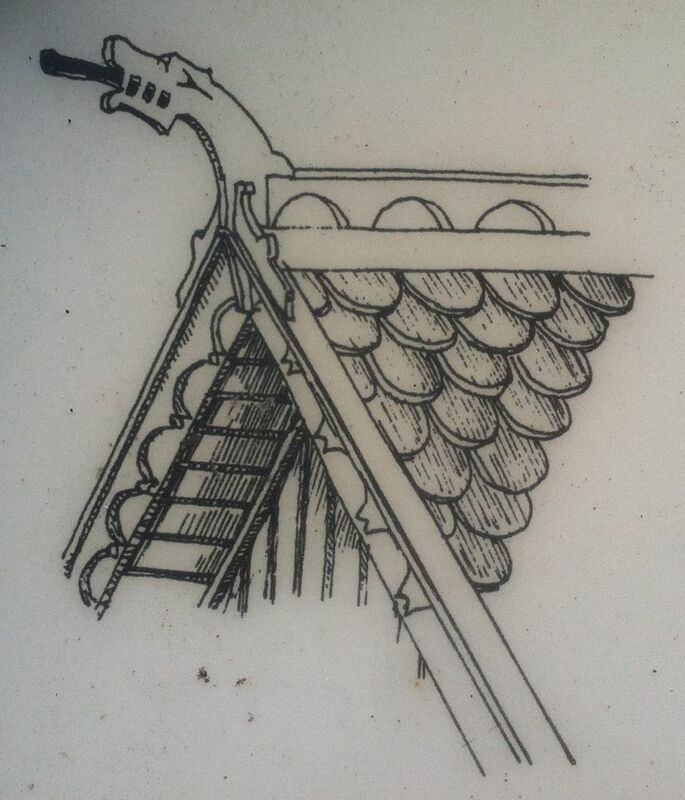 By means of a catalog, the owner could order heads of dragons and other decorative elements according to taste. 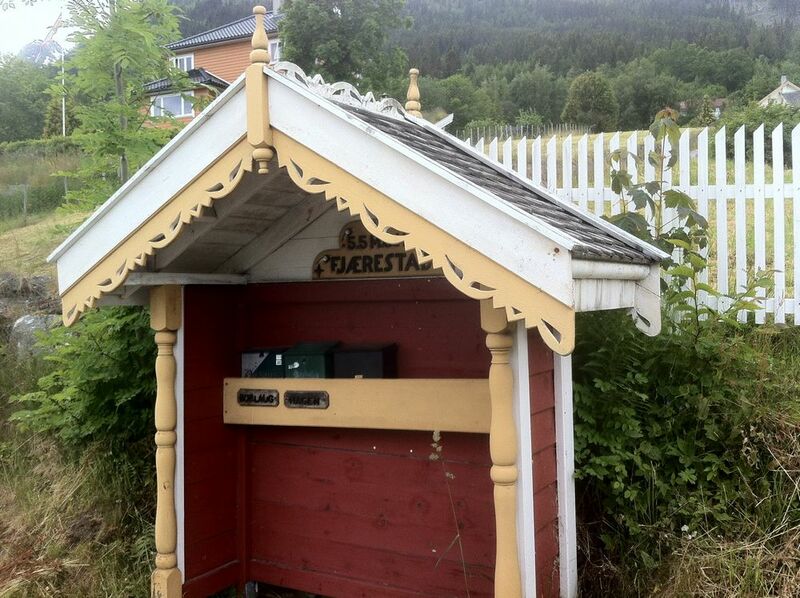 Any visitor to Balestrand will be charmed by its setting and its welcoming locals eager to share the artistic history of their Nordic ecstasy. 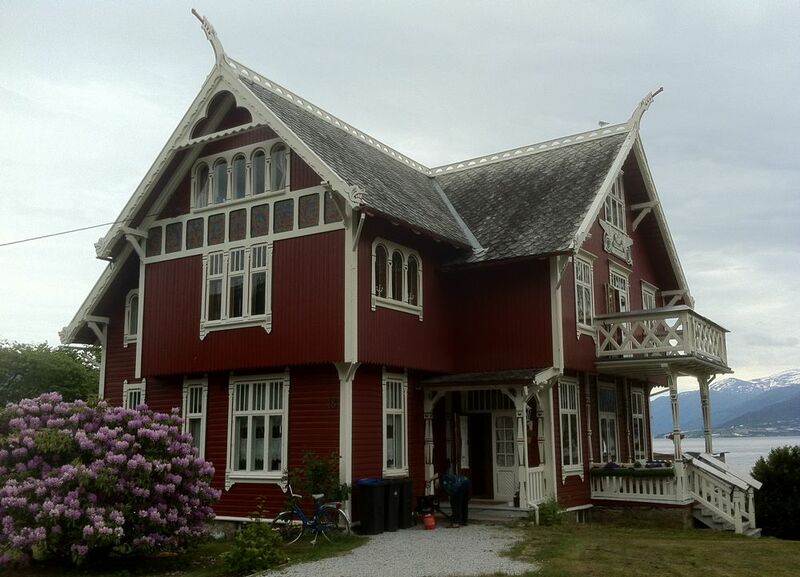 The famous white gingerbread Kviknes Hotel at water’s edge, the red dragon-head villas on the lane skirting the fjord, and the yellow and brown stave-like St. Olaf’s Church not only signify the architecture of the national romantic period but lend a fairy-tale ambiance to this quietly rolling patch of landscape thrust between mountains and sea. Kviknes Hotel has been owned by the same family since 1877. You can opt for a more modern stay in the 1960s wing, but we’d endorse a room in the original building, parts of which date from 1752. There’s an old world charm to them with spectacular views over the water. 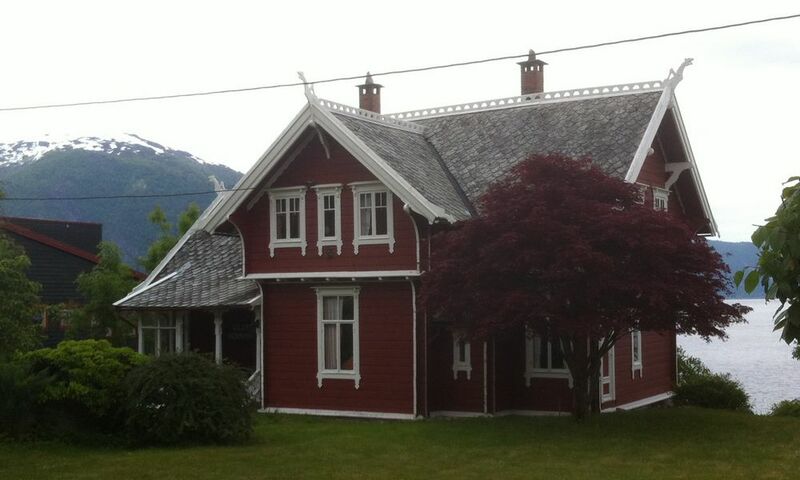 In 1891, Eilert Normann built a summer home on the Sognefjord. 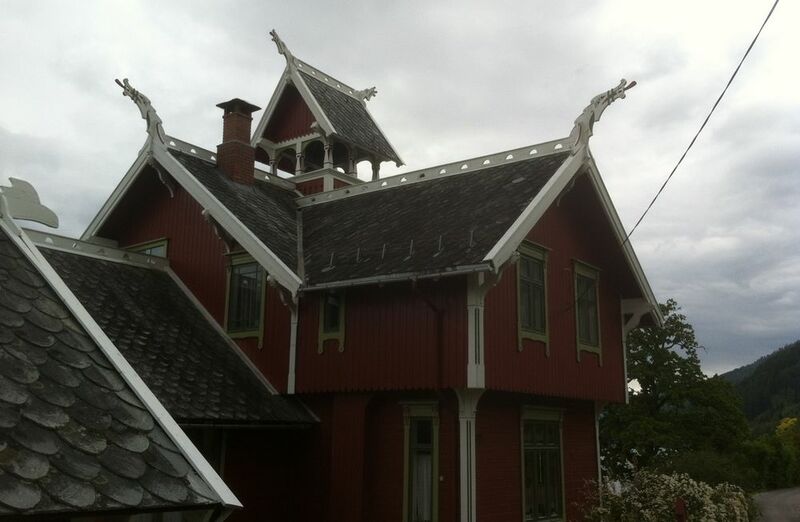 This a red villa in what is called “dragon style” or “Switzerland style” borrowing a motif from the Vikings, with dragon heads rising from the gables. Normann was the first artist to build a house in this particular style, which became the prototype for the ones that came later. These houses created the special atmosphere of the town and were of great importance to tourism. 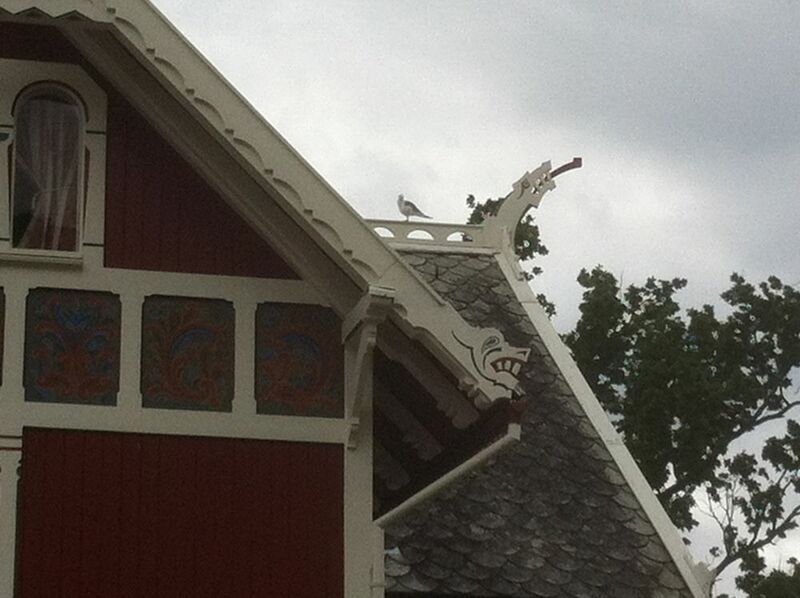 In Switzerland Style, the dragon motif is revived in an architectural context. The dragon symbol so often employed by the Vikings “had a protective function” that made it the ideal adornment for a shelter. Creatures with dragon-like heads and serpentine bodies can be traced in Norway as early as the Bronze Age. They were well developed by the time of the Vikings, who carved them on their long boats, wagons, sleds, tents and beds. Later the dragon appeared on drinking vessels, at the portals of churches and in other places. 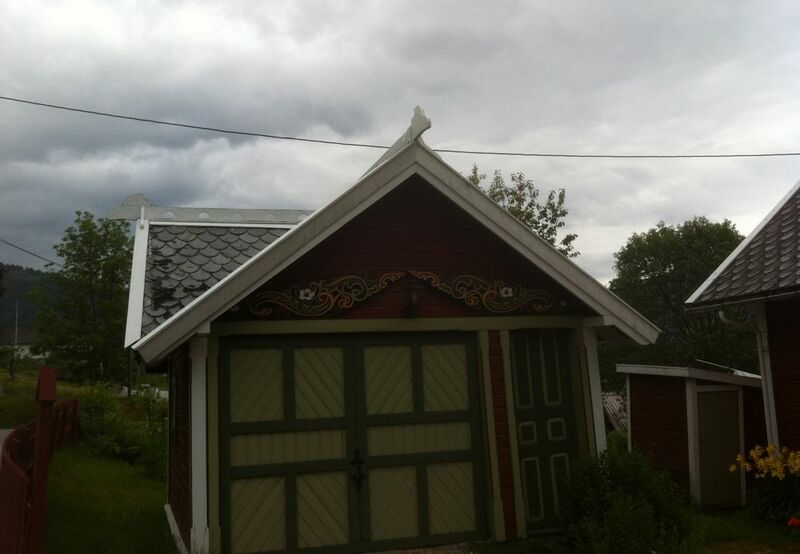 The dragon heads jutting out from the gable peaks were typical of stave churches, and were adopted as an important symbol during the national romantic period, as Norway sought to assert its cultural identity.